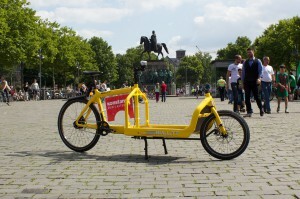 KASIMIR – Dein Lastenrad Archive - Seite 2 von 2 - wielebenwir e.V. 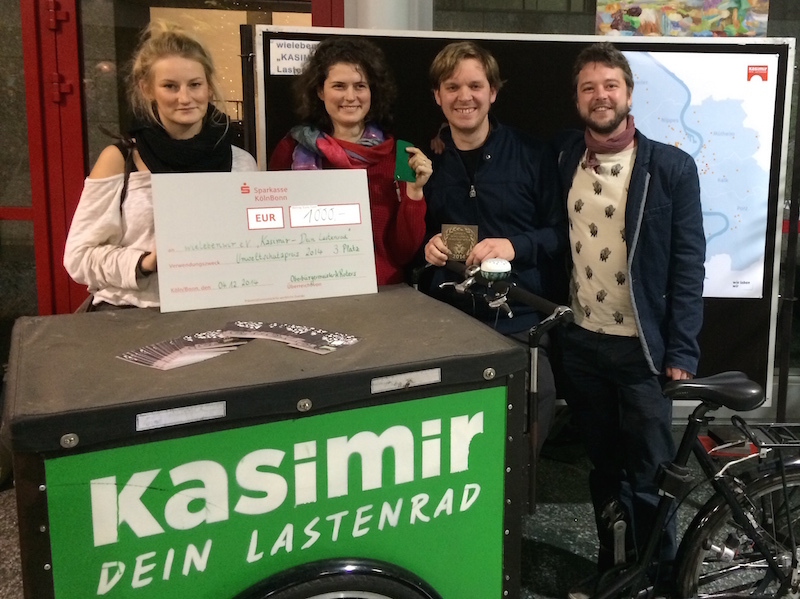 It started with a single cargo bike on the streets of cologne: “KASIMIR – your cargo bike”, established by the non-profit association “wielebenwir e.V.” in 2013, is a “free cargo bike”. 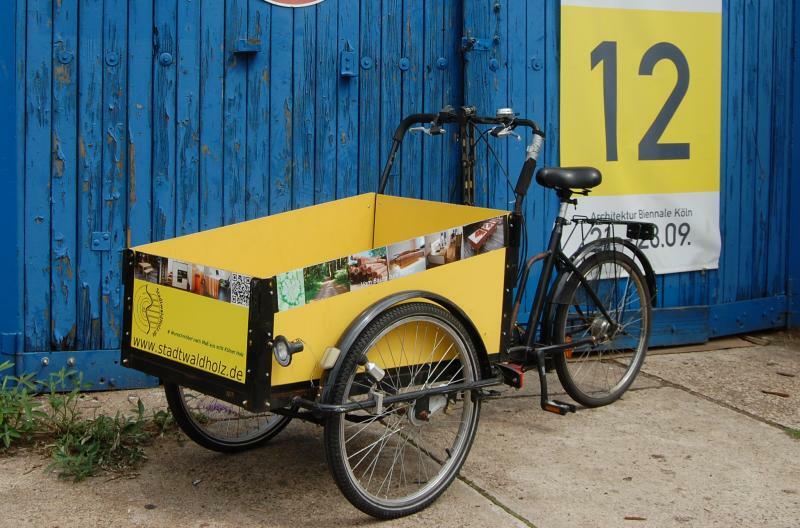 KASIMIR is free to lend and it changes its pickup-location every month, demonstrating an alternative method of transportation in the spirit of commons. Now, 2 years later, there are already over 30 initiatives in cities across Germany and Austria developing similar projects – with “Daniel” (Munich), Rudolf (Dortmund/Bochum) and “Freies Lastenrad Graz” (Graz, Austria) among the first already established. 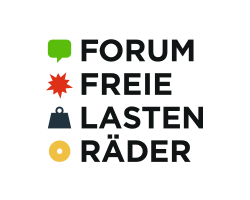 19.03.2015 – Forum freie Lastenräder – jetzt anmelden! 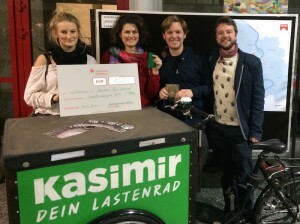 Unser Projekt KASIMIR – Dein Lastenrad gewinnt den 3. 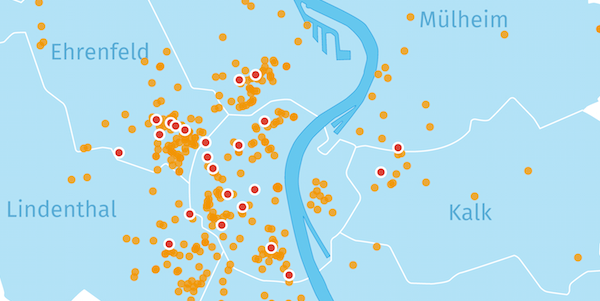 Platz beim Umweltschutzpreis 2014 der Stadt Köln. 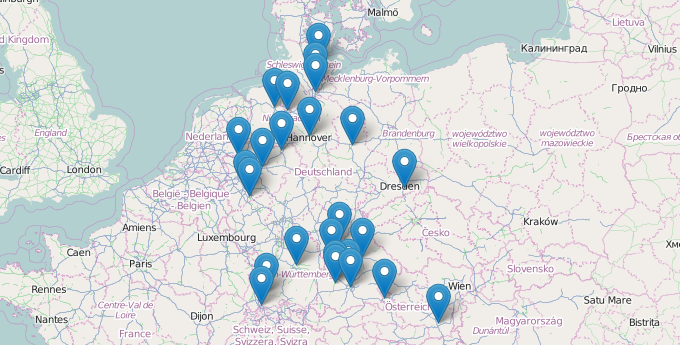 Wir freuen uns!